THOSE WHO DON’T WORK DON’T EAT: THE USE OF FRANCHISES AS AN ALTERNATIVE TO THE REGIONAL CENTER APPROACH | The Law Offices of Yuri Tsyganov, P.L. The EB-5 world is a very unique market place. A foreign investor has the ability to become part of a large “pool” of investors in a USCIS approved Regional Center, make the qualified investment, and spend his days laying on the beach under a palm tree. For those who simply cannot sit still and favor having control in any business venture, there is the “stand-alone” or “direct” EB-5 option. The legal and procedural requirements are the same for the “stand-alone” as they are for the Regional Center approach. The “stand-alone” also allows for the limited $500,000 investment if the job creating enterprise, the business itself, is located in a Targeted Employment Area (TEA). One major difference is that all jobs created as a result of the investment must be direct jobs (35 hours per week compliant with the State’s minimum wage). One may say that such a requirement makes it virtually impossible to draw a profit when a large chunk of the incoming funds are allocated to paying employees’ salaries. Fear not, the franchise solution to making the “stand-alone” EB-5 concept profitable and USCIS compliant has arrived. Investors now have the option to work with globally recognized franchise brands in the U.S. This option allows the investor to use and rely on the franchise’s “know-how”, brand recognition, proven products & methods, as well as business techniques to satisfy the USCIS requirements while earning a sizable profit along the way. When I walk in to almost any food-service based franchise, I can immediately count in excess of five (5) employees working at any given time. Some food service franchises require well over ten (10) or fifteen (15) employees to meet the demands of their customers. Thus, the dreaded job creation requirement now becomes a welcomed and necessary component of a profitable business. Banks use information about the failure/success rate of every franchise in the U.S. to determine whether or not to loan start-up capital to a new franchisee. A foreign investor has the ability to rely on the same data used by banks to determine which franchise opportunity presents the best option for job creation and profit margins. Of course, everyone’s appetite for risk is different, and that is why the investor can choose a franchise that has a low percentage of failure. In the next six to twelve months, banks will also significantly decrease the amount of funds that they will lend to perspective franchisees, thus creating a “perfect-storm” for foreign investors seeking to obtain immigration benefits through the use of the EB-5 visa. Bringing $500,000 to the table, may allow the EB-5 investors to combine their cash-infusion with a bank loan to “hedge” their investment and potentially work with a franchise which requires a larger sum of start-up capital. 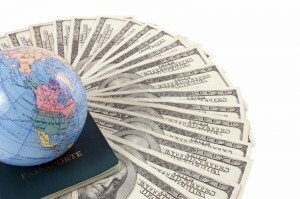 The State of Florida is already considered to be the “mecca” of EB-5. Now it is becoming a haven for EB-5 based franchise projects. At the Law Offices of Yuri Tsyganov, PL we have worked with numerous Regional Center based franchise projects, as well as “direct” investors who have used the franchise based EB-5 model to obtain immigration benefits. 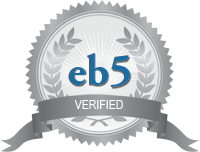 Please visit our website to learn more about the EB-5 visa.